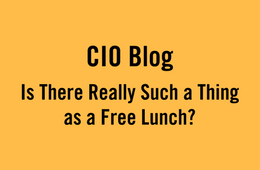 Is There Really Such a Thing as a Free Lunch? One of the challenges in Higher education is making sure we protect our digital information. We are the stewards of personal records, health records, information on intellectual property and a myriad of other types of sensitive information. Read Is There Really Such a Thing as a Free Lunch? at U of T’s CIO Blog.